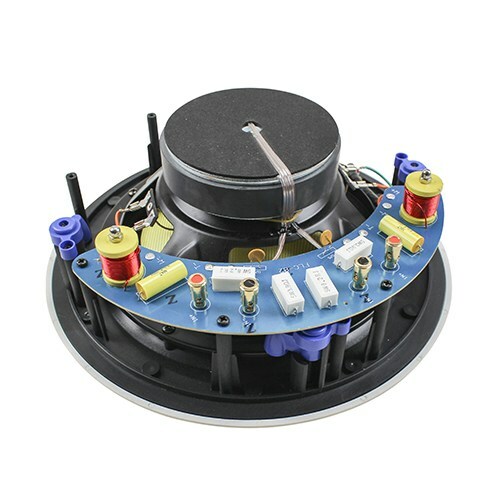 This frameless 8” 2-way stereo ceiling speaker delivers powerful and clear sound from both channels of audio from a single mounting location. 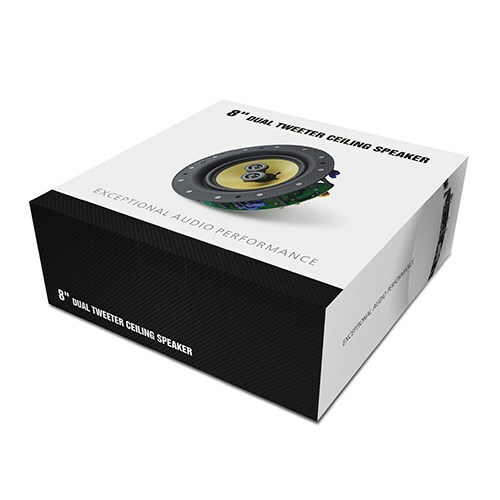 The larger 8” driver provides larger installation areas with rich, full sound. 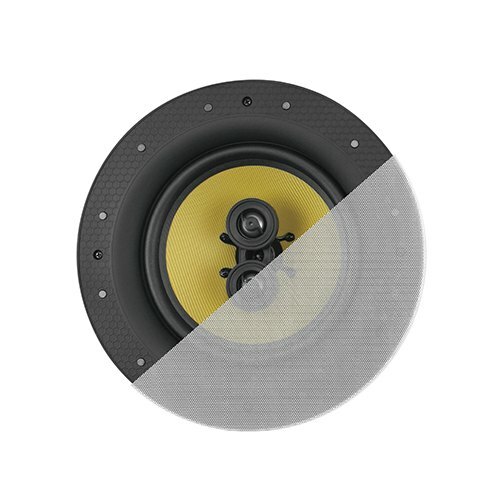 Titanium dome tweeters deliver sparkling highs and the Kevlar® woofer provides solid bass and midrange accuracy that rivals live performances. A magnetic grill contributes to the overall modern appearance while making quick access to the pivoting tweeters. The strength Kevlar®helps the cone retain its shape at very high energy levels and its low mass assures quick, accurate response while the cone’s woven surface delivers smooth, uncolored mid-range sound. 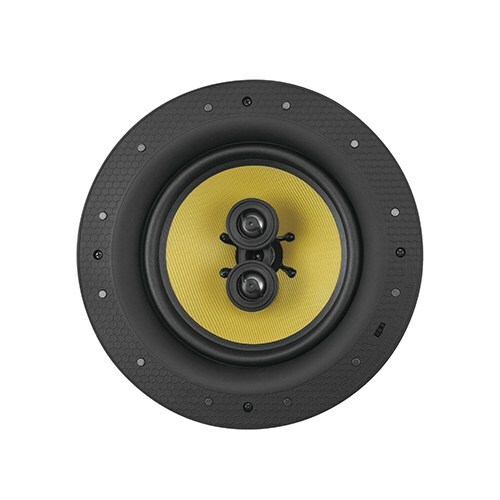 The rubber surround ensure that these woofers will provide years of consistent and reliable performance. 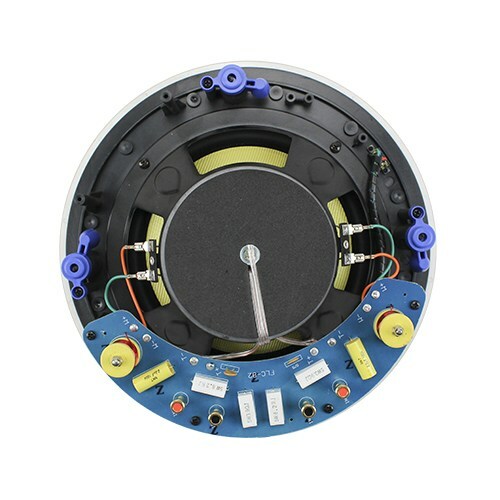 Includes integrated quick mount dog-ear brackets for new and retrofit installations. Supplied with magnetic round and square grills for a choice in finished appearance.